Given the multipurpose nature of the kitchen, many homeowners think that you have to forsake flair for functionality when it comes time to design a cooking and entertaining space. 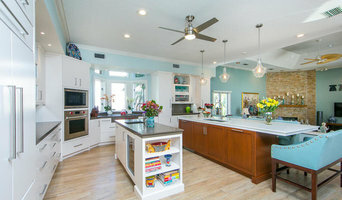 Luckily, custom kitchen cabinet professionals in Sarasota, FL can create a practical yet personalized space that is unique to both your aesthetic style and empirical needs with custom kitchen cabinetry. Find a Sarasota, FL custom kitchen cabinetmaker right here on Houzz and start customizing cabinets just for you! Cabinets and cupboards are essential components of any successful kitchen layout. Whether you are considering a full renovation or a simple aesthetic refresh, custom kitchen cabinets have the benefit of being designed specifically for you in terms of both appearance and usability. When it comes to stock cabinetry, you are limited to cookie-cutter designs, dimensions and colors, which isn’t ideal for outfitting a uniquely shaped kitchen or for showcasing your personal style. Custom kitchen cabinets are solely crafted based on your specifications and needs, and while they are pricier than pre-made pieces, you’ll receive a higher level of craftsmanship and durability when you work with a professional who specializes in custom kitchen cabinets in Sarasota, FL. Start an ideabook on Houzz and save examples of the types of kitchen cabinets you want — this will help your Sarasota custom cabinetmaker get your design just right. 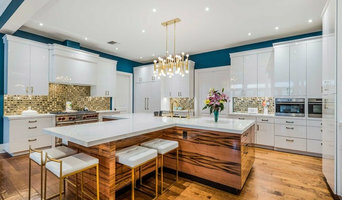 Additionally, if you are undergoing a renovation, keep in mind that a kitchen blueprint needs to be finalized prior to any kind of cabinet building and installing; given the one-of-a-kind nature of custom kitchen cabinetry, room dimensions need to be completely finalized before any work can commence.